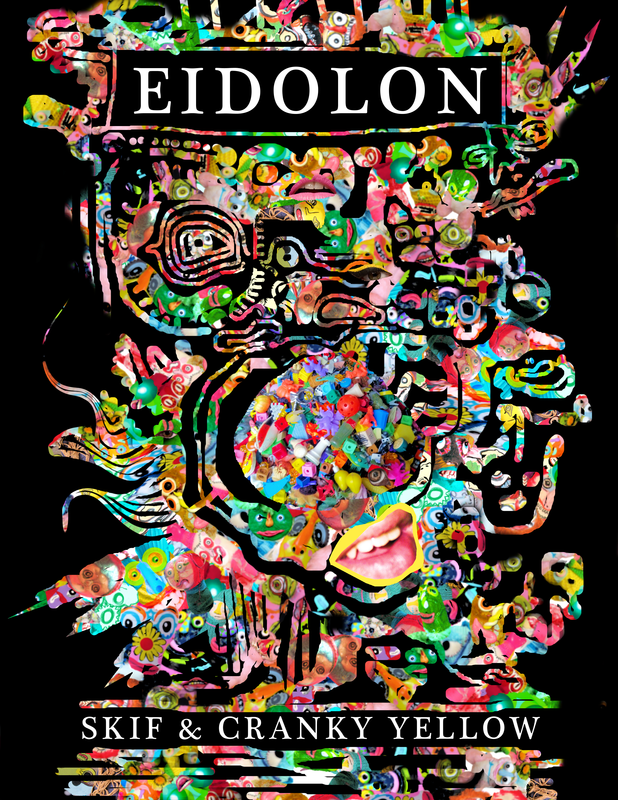 Eidolon is a three week workshop and performance presented by Skif and Cranky Yellow. Participants collaborate with artist David Wolk in the creation of imaginative characters and build symbolic objects while exploring self identity, ampoule myth, health and social issues. Twelve hours of intensive creative work lead to a performance art closing reception. Limited to 20 participants. All supplies provided. 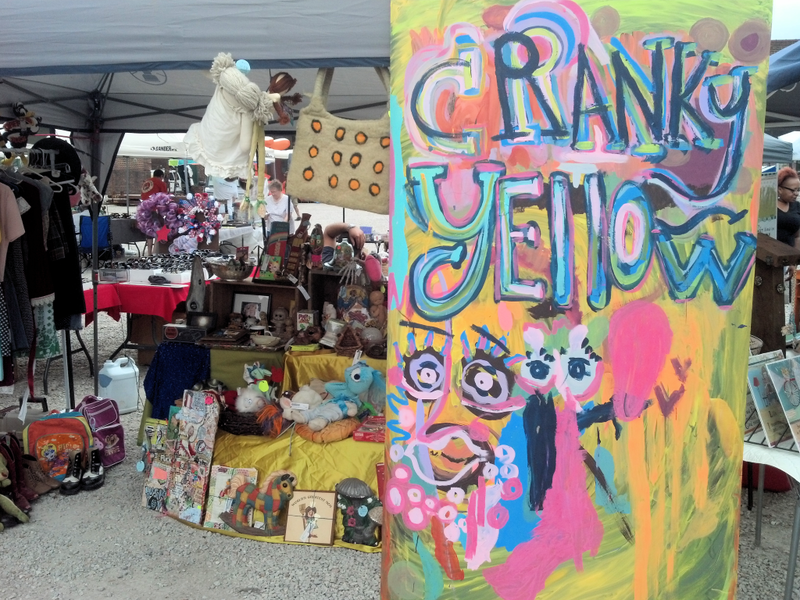 Visit Cranky Yellow this Sunday at the St. Louis Swap Meet (Lemp Ave at Cherokee St)!! See you there! Cranky Yellow at Dutchtown Bazaar this Saturday!! 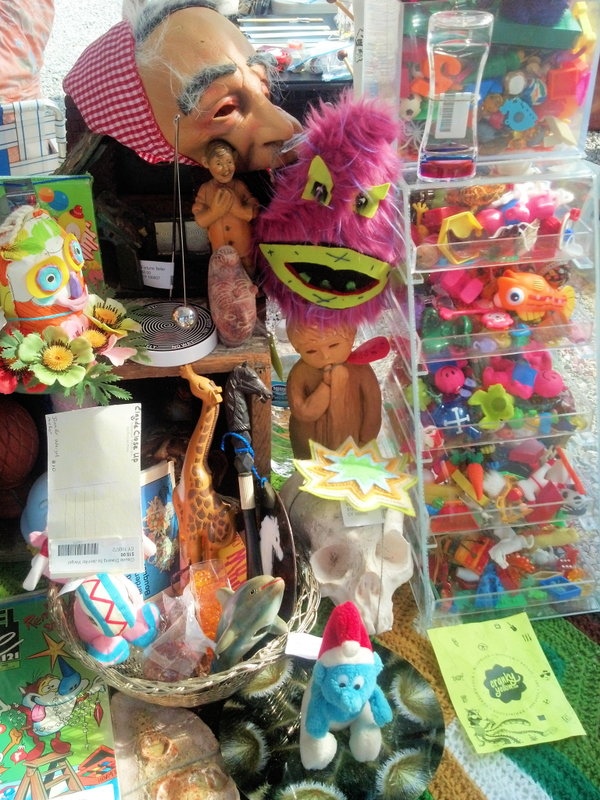 Visit Cranky Yellow this Saturday, viagra sale 6/13/15, tadalafil at the second Dutchtown Bazaar for a day of handmade, hospital vintage and delectable flea market treasures!! All the info is on the FB event! See you there!! Find Cranky Yellow at this amazing Pride event!! 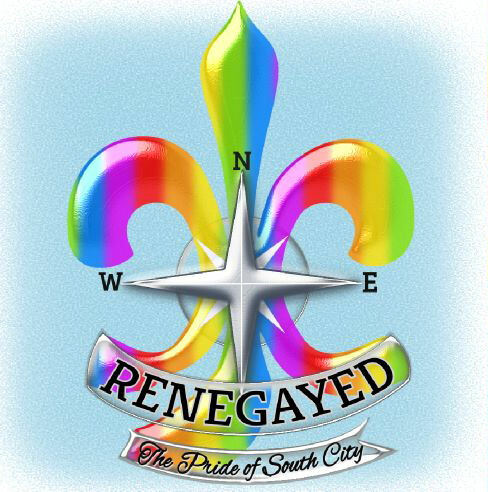 Tower Grove Pride is embracing its roots and re-branding its 3rd annual LGBT-supporting block party as Renegayed; a cozy affair along the South Grand business corridor featuring local vendors, food trucks, bands, entertainers, hand-built exhibits and home-grown activities held on Stonewall Saturday! SHIVER YOUR TIMBERS AT DUELING BLOCK PARTIES on S. Grand @ Hartford AND Ritz Park! 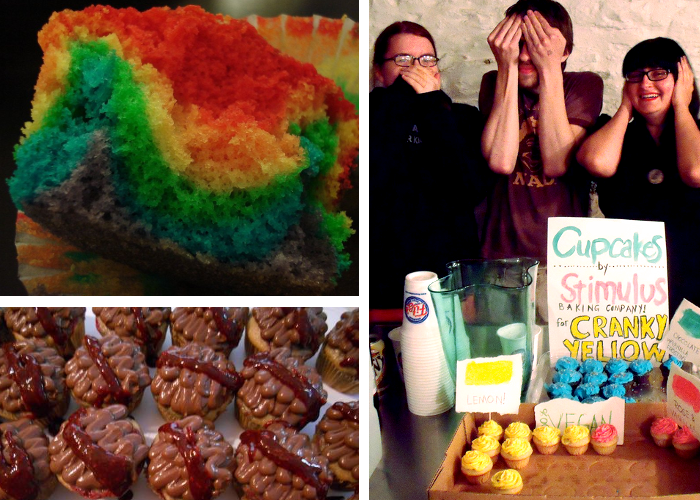 Join us on South Grand for a gay ‘ol time! Renegayed is kid and Fido-friendly too! Visit www.towergrovepride.org for more details. Find CY at the We Heart STL Celebration! ALIVE Magazine and Bud Select have teamed up to kick off the summer with a celebration of all things St. Louis. 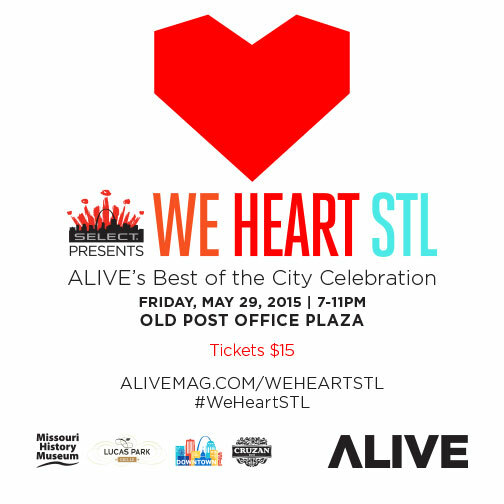 Join us to celebrate our We Heart STL Best of the City winners at the Old Post Office Plaza in Downtown St. Louis on Friday, May 29, for live music, local vendors, delicious food, Cruzan Rum cocktails, dancing and an array of special surprises. All are invited to this Best of the City PARTY! 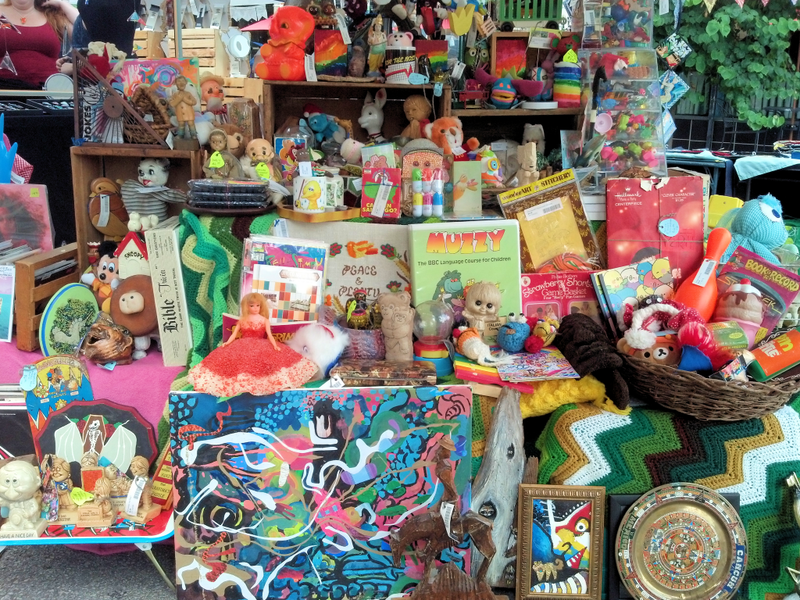 Contain yourself as you browse and BUY these collectible vintage tins, wooden boxes, primitive trays, organizers and even an real ostrich egg! 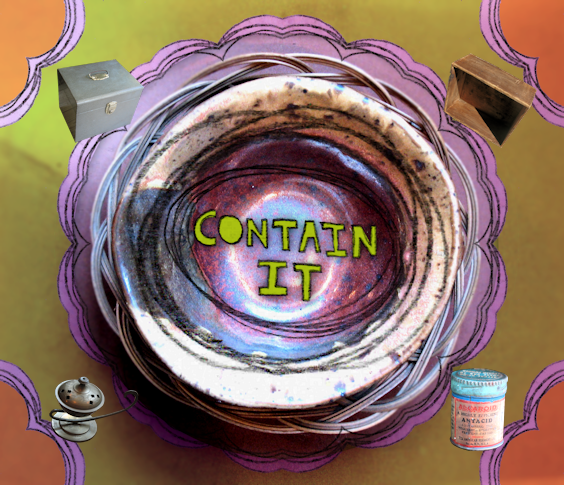 Contain anything you would like in these unique CY objects! First up is the yellow graphic Skat Tin. It has a strange appeal and is collectable. Plus you can keep stuff in it. Next is this antique cash drawer. Sort and contain your loose change in style. Perfect for the desk. Above you’ll see a set of red and blue granite wear / enamel ware camping mugs. Use them everything! Followed by the best and biggest biological container nature has: The Ostrich Egg! Hollowed for your protection! It looks rad in a bowl on the table. This rustic Muriel tobacco tin seems from a distant world. Five cent tobacco in a re-usable tin with nice font and pretty imagery!? History! it pairs very nicely with this romantic brass basket, from India. Any authentic home keeper would benefit by being able to offer a light from this antique tin matchstick dispenser. Disposable lighters are out anyway. Next is a primitive wooden tray with a striking bent handle. This is my favorite piece in the collection. It is one of a kind. Organize some files in this vintage metal box! It has a handle so take it work! Afterwards spice up the bathroom with this vintage Alcaroid tin. Goes really nice in an assortment with other old bill bottles. Add it to your collection. Do you burn incense? This is the most REAL magic lamp burner you’ll find. It has a lid and charm. Lastly is a Capewell Horse Nail Company wooden box. The printed graphic on the box even says “Saint Louis, MO” – True local history for any purpose. I would put books in it! Having absolutely nothing better to do, the joyous Empyrean mother waved her hand and all of reality (the universe, multiverse and every cosmic tide) came rushing into existence. Or at least it is possible to imagine and become influenced by such a magnificent genesis. Enjoy the following goods inspired by the vast and infinite space of this creation. First up is a 1912 hardback copy of Astronomy in a Nutshell, featuring 46 galactic illustrations. Then the universe’s distinct spiral form takes center stage in this Blown Glass paper weight. Bring a bit of outer space to your desk! The subtle curvature of this seafoam glass bowl is reminiscent of the arches and bows seen throughout the natural world (bubbles, rainbows, the eclipsed moon or eddies in liquid). 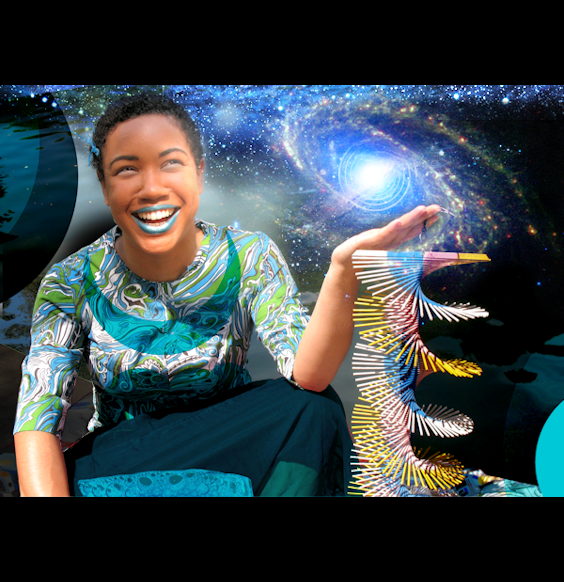 While this print, entitled “Enough”, by Cate Anevski shares the first elemental power: WATER! This beautiful azure glass decorative decanter embodies a certain celestial spirit. The perfect place to contain a sample of the second elemental power: AETHER! Next is a antique blue lock mechanism which represents the secrets of existence that we may never come to know. A vintage navy purse with clear gem clasp exemplifies the view of a midnight sky full of stars; a pretty accent for a night on the town. Another decanter in cerulean glass easily holds the next exquisite elemental force: WIND! This brown embossed floral binder appears as the representation of another element: EARTH. Keep important art, notes or sketches inside. Should you need extra space for your doodles, this grey blank journal by Thread and Paper will surely aid in your efforts to document the phenomenon of being. A print by Zachary Otte, entitled “Smoke”, billows forth from the source of the last classical element: FIRE. At last the final print, entitled “Ready”, by Carly Meyer showcases an angelic astronaut ready to launch out of this world in exploration; seeking greater understanding of all that surrounds us. // A very special thanks to Casey Jones for being such a beautiful model for this collection and a real cheerful inspiration! Check out the art direction for our new brand AUF PUNJAB! Focused primary on fine antique, decease primitive and rustic goods, AUF PUNJAB will be bringing you various collections of curated history. In addition to these heirlooms of bygone eras, AUF PUNJAB will also feature hand crafted artifacts created from reclaimed resources with deep rooted heritage. We are thrilled to bring you more AUF PUNJAB goods and collectables through the coming months. The sun is so big and hot. Earth is planet Sweat Lodge! Inspired by the spiritual tradition of Native Americans, I began to ponder the rituals that might be involved in a mondern day ceremony to worship, offer and appease the sun. Using the power of merchandise, lets get hot and sweaty! An offering of pink elephant fetus and handmade pink skull by artist Laura Tolley. The sun is majestic and brings both life and death to planet Sweat Lodge! Without the sun’s life giving properties, cultural peaks in recent human history (like the Beatles or Kodak film company) would never have occurred. Great logic and I’m glad the sun is so hot! Now for Neon Deer Antlers and Bull motif brooch. The beasts that graze are an important symbol of the sustaining power of the sun. As fields grow by absorbing the bright rays, so do the beasts chew and chew to sustain themselves; and so often we chew them to sustain ourselves. The cycle of life continues. Yet there are gods and monsters in the mythology of the sun. A cosmic struggle between good and evil. Depicted here by the “Thou shalt not steal” sentiment of this bank, and the growling face of a handmade doll by Hello Again Monsters. This Handcrafted pouch from Handmade Pretties represents the ingenuity of Human Kind to weave textiles; protecting ourselves when the sun cannot. The pencil in hand communicates our power of language without which we could not speak or share any praise for the sun. Even the sun itself is not infinite. It too must die. Another handcrafted skull by Laura Tolley mimics this death. I don’t think any of us are ready for our sun to explode, so lets be grateful for the now. A Tanxx box set to show just how awe-inspiring life on Planet Sweat lodge is currently! Long live the sun! Enjoy! Sit back an imagine anything adventurous. Probability is the only possibility when you day dream! 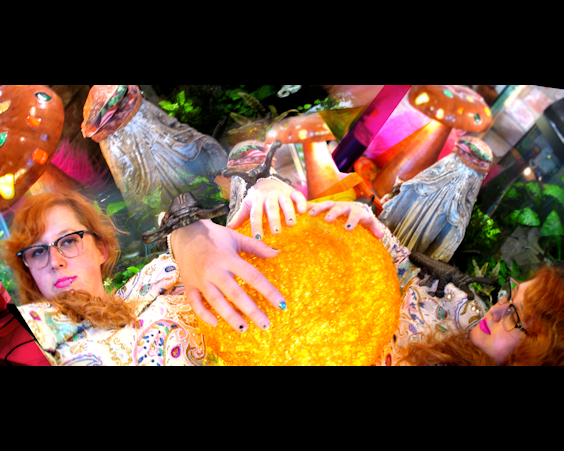 To pay tribute to our wandering minds we’ve assembled the finest collection of inspired whimsy. If you brain jumps from here to there, you will enjoy this collection of fun delights from Cranky Yellow. Always wondering what it might be like to be a scout? These patches can turn you into one! 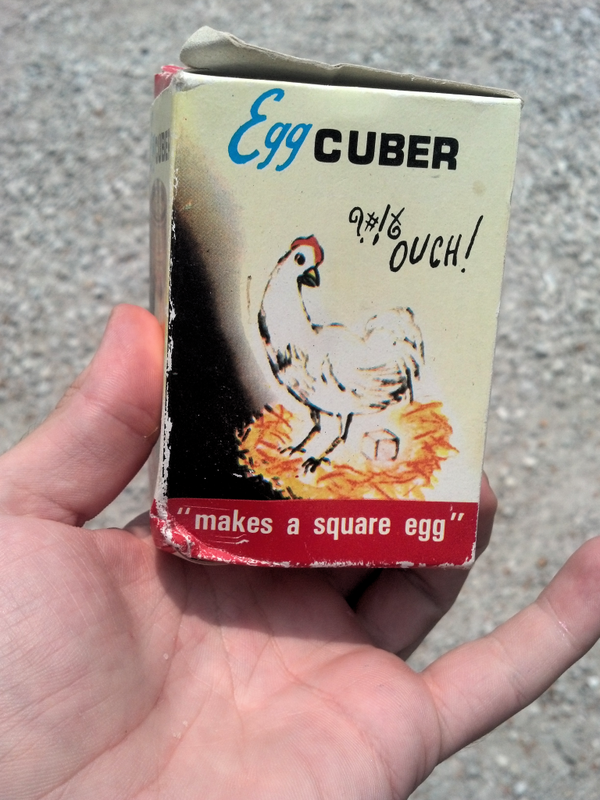 Or perhaps you’re just thinking about how many tiny blue cubes make up this larger blue cube. What might you put inside this vintage lantern purse? I’m sure you could think of a few things. Though with all the recent wildfires you are probably considering how to help Smokey prevent forest fires instead! This pin will pledge your support! How hot do you think it is in Egypt right now? Does the Sphinx sweat? This cast pharaoh head will remind you to look that up. Speaking of which, do Dinosaurs sweat? I bet they do if they wear clothing like these goofy toys. Imagine having flower petals for eye lashes like this handmade doll by Cate Anevski. Would they help you see warnings of Jaws lurking, like this tiny sign? You wouldn’t have to worry about Jaws at all if you could pilot a giant robot. Everyone knows sharks hate robots. These Shogun Warriors comics can inspire you. Though if all that action is too much for your sensitive mind, a serene Japanese crane scrapbook might be more your speed. In order to keep the dream alive you can read this ‘Dream World’ book, about death at an amusment park. It comes with assorted collectables. At this rate you will need to give yourself a rest and snuggle up for the night with a little baby to keep your company. Enjoy! The next 4 months of Cranky Yellow’s existence is crucial! A hiatus to review procedure, to be strategically obnoxious, to plot a course and to determine the entire outcome of the Cranky brand. To focus on goals, organization and development. 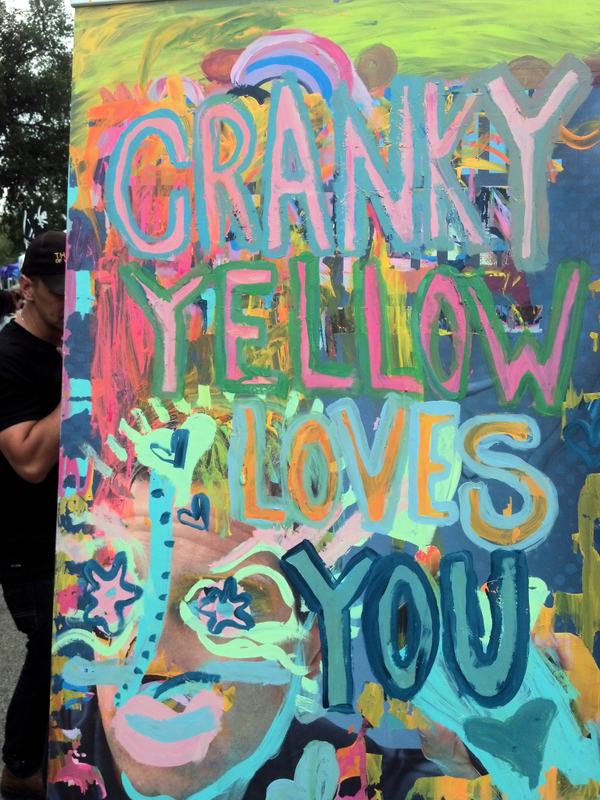 What is Cranky Yellow? Does it exist in the real world or online only? How do we continue creating? Is a long term shared space to feature art/junk + music and performance viable? How do we transform Cranky Yellow into a sustainable model? What is the best plan of action? Everything must fall into place during the coming months. I can’t wait to share it with you. A Day to Shop Cranky Yellow and Gossip! 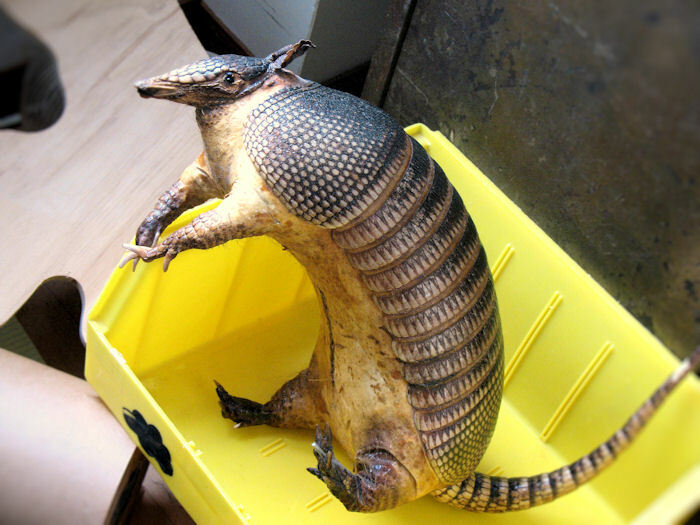 The time has come to exploit the Armadillo taxidermy in an effort to inspire and market some of the latest goods in the Cranky Yellow gallery! If we can’t leg up from the antics of our latest prehistoric (and preserved) friend than we should just give it all up. Quirk up your life with a free “Read Directions Carefully” packet left for the taking by The Art-Damaged Working Class. The contents are a mystery but I’m sure you’ll have no choice but to love it. A waste of time or timelessly wasted. With cracked humor like that we will approve. What a hilariously gruesome collection of jokes and cartoons!! Dream Catcher parts for sale! Not the whole thing, obviously, just the hypnotizing mandalas. I have been finding a lot of inspiration in their repetitive concentric geometries. Perhaps you’ll need some too. For capturing those bad dreams or setting your mind forward. We have assorted sizes and complexities for sale. $3.00 and under. Unless there is something more special about one of them, in which case I doubt you could afford it. 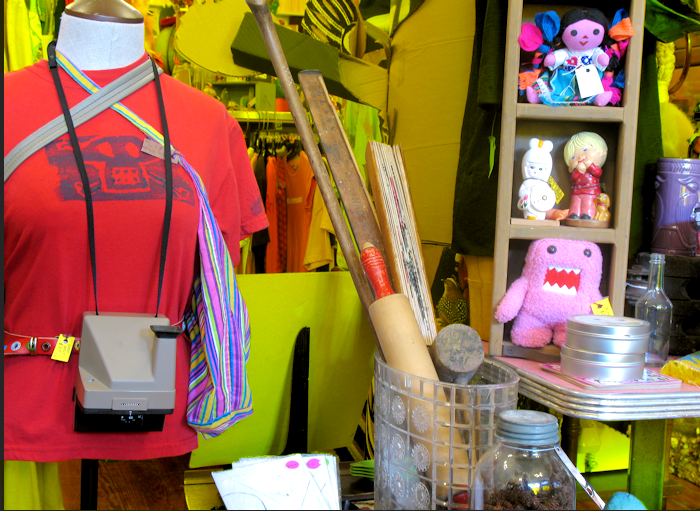 Now stocking a small collection of SEW RAD Clothing and Accessories. 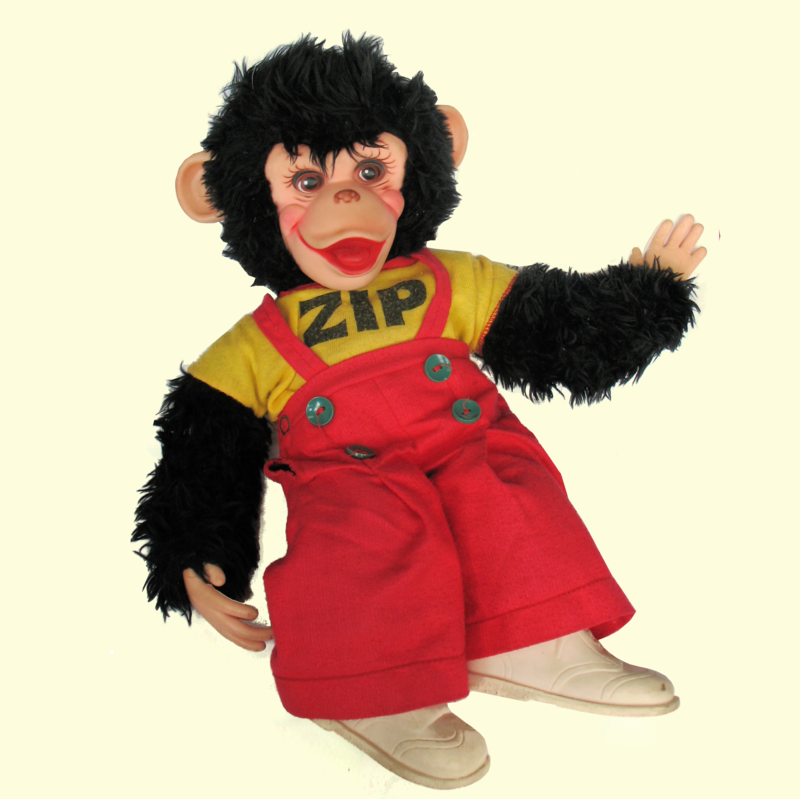 Handmade from recycled materials and shirts (mostly small fitted sizing) are frilly and adorable! $30.00 and limited! For those of you that like finding personal clothing. Be yourself + Be unique. See also the Bengson’s album The Proof! $12.00 gets you the 15 song CD from this husband and wife duo. Abigail Bengson’s eerie howling lyrics spice up this vaudevillian act. Only one left in stock at cranky so it’s better if you buy it now rather than later! Oh how 1990 seems so long ago! These are original “Deluxe Turtles” (that’s trademarked) Movie Cards. The complete set is 132 action packed cards from the blockbuster movie. You can start collecting them now at Cranky Yellow. For only $1.00 a pack, you can’t possibly beat that blast from the past. Each comes with 9 glossy movie memento cards and one sticker. Um, yes! Trim your bush or other house plants with this handy vintage kit. For shaving or holding small utensils while traveling. This to-go pack proves how much better things were in the past. You can’t find things so flattering and functional today! Bound in leather and each shiny chrome object is in place. $15.00 or else! Not to mention our ceramic Native American chief and big-eyed kitsch owl. Just two of our ever growing collection of strange collectibles. Note the microphone poking in from the right side. They’re singing some trashy pop together. That’s a sight worth $30.00. Lastly: Lay your eyes on the stuffed Armadillo! She’s aptly named the 9 banded Armadillo. A fantastic specimen! Just look at those digging claws! She’s arrived to rip up your crops and generally piss you off! The ‘Dillo is not native to Missouri but have been spreading inward, as the species continues to expand territory! This little lady is too special to our yellow hearts to sell (yet) but she’ll be lingering around the Cranky Headquarters. It’s only fair to let you peek at her. Rejoice that Armor — I don’t know how you died, but your shiny shell is loved! Out. Leave thoughts, wisdom or leprosy below!! WAIT TO DIE BY FIRE DOG! Local STL record label(s) Pancake Productions and Love-O-Rama have released the new Fire Dog Vinyl 7 inch “Wait to Die”! Made in the year of the Metal Tiger! A limited edition of 300! We have um in stock NOW! 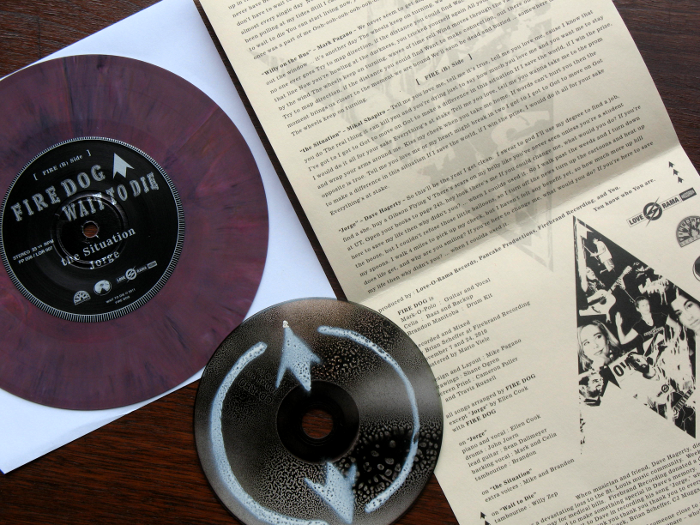 Really beautiful silkscreen album art to match collectible marbled purple vinyl! The pack comes with a hand-stenciled CD — Love that Fire Dog Emblem! Only $6.00! Wait To Die, a memorial/tribute record to the late Dave Hagerty of Fattback, is the newest seven-inch record from Fire Dog. It was released on 17 April MMXI at Off Broadway, with advance copies distributed to record stores across the city in time for National Record Store Day (16 April MMXI). Side B’s “Jorge” was written by Hagerty and is performed here by his girlfriend Ellen “The Felon” Cook with Fire Dog as support. There is a giant garbage truck in the sky that keeps dropping endless work, junk, art, creativity, and music on our cranky heads. Sometimes it is good to stand back, with a handful of n00bs, and check up on progress! It’s nice to see things coming together despite the daily yellow drudge. 1. The shelves at the old Cranky are busting with new vintage and art-wasted items for you to buy. It’s crucial that you stop in and spend money. The dollars you spend here go directly to our rent, bills and keeping the vision moving forward. Without your support we will shrivel up into a little turd and blow away. Please don’t let that happen. Besides, there is so much interesting one-of-a-kind stuff here that you can’t possibly go wrong! Support local and independent art, music n’ effort n’ stuff you won’t find anywhere else in STL! 2. Spelling Bee has stung my heart. It’s swollen and yellow. This duo (Hi Joseph + Mabel) will surprise your noise-confused ears with catch guitar riffs, stellar intense drumming and sugarless vocals. They are up for an RFT music award for best STL Noise act, but the SB tactic is more refined than the usual nose-bleed noise. Keep your face pointed in Spelling Bee direction. They have a new red vinyl split with Glass Teeth, a west coast summer tour, and self-image-confused web presence from Cranky. Call it punk/noise/folk/pop/wtf or otherwise… you’ll be wrong: It’s SB! 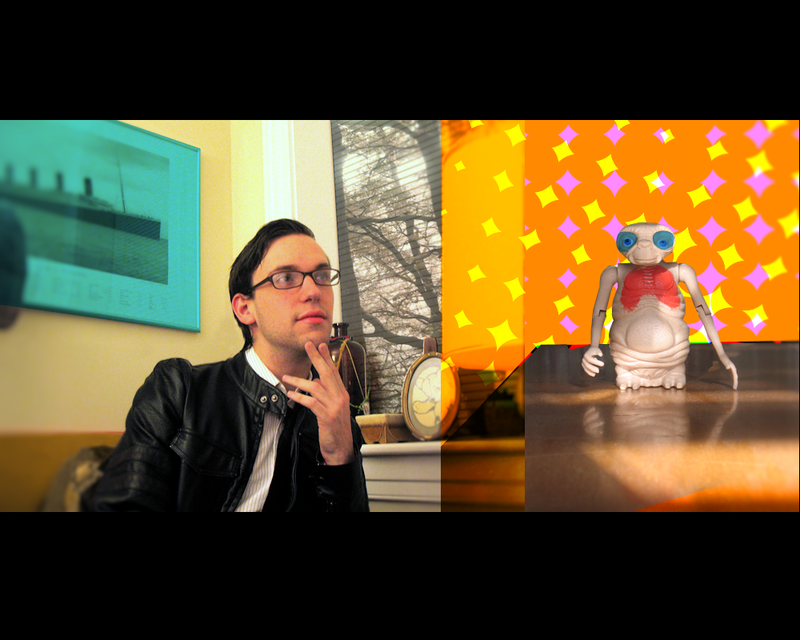 Releasing it for your full visual enjoyment this week! 3. As the world turned according to plan, we met with the mastermind artist behind Santa Lucia Art House. We’ve been toiling away on collaborating a very anatomical fine art release! We’ve nailed out the final text and sale details! Expect it all online this week or peek some sneak imagery above for your guilty pleasure. Don’t wait, it’s worth it! 4. Hear Ye Hear Ye, Newest York is proud to host the first ever open-invitation Baking-Competition! Your ticket is the Post-Apocalyptic Bake-Off comic! Now in stock at Cranky Yellow ($8.00 each) and illustrated by four cool dudes with attitudes: Dan Madrigal, Jeff Elden, Matt Bryan and Mike Mccubbins! A serious addition to any graphic novel collection and the perfect way to support Saint Louis creators! Local-vore it for all your media needs! 5. We recently launched a small web presence in collaboration with Amanda Beard Photography. Amanda is showing some current work at the PHOTOPHILIA Show May 6th to July 29th at The May Gallery @ Webster University. Her work has been an integral part of the cranky project development over the last 5 years. 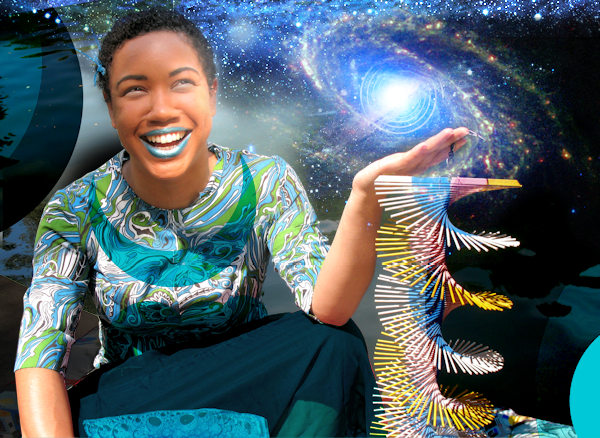 Check out her work and support her as she has us! Perhaps you’re cheap or maybe just broke: Do not fear we will have you covered. Cranky Yellow for one of a kind handmade and vintage(ish) gifts and junk garble // For those of us with a pinch on the wallet. It’s only digestible if you’ll eat it. The best for any budget! Ha! Lets introduce it. A dollar menu or something even more terrible than that! 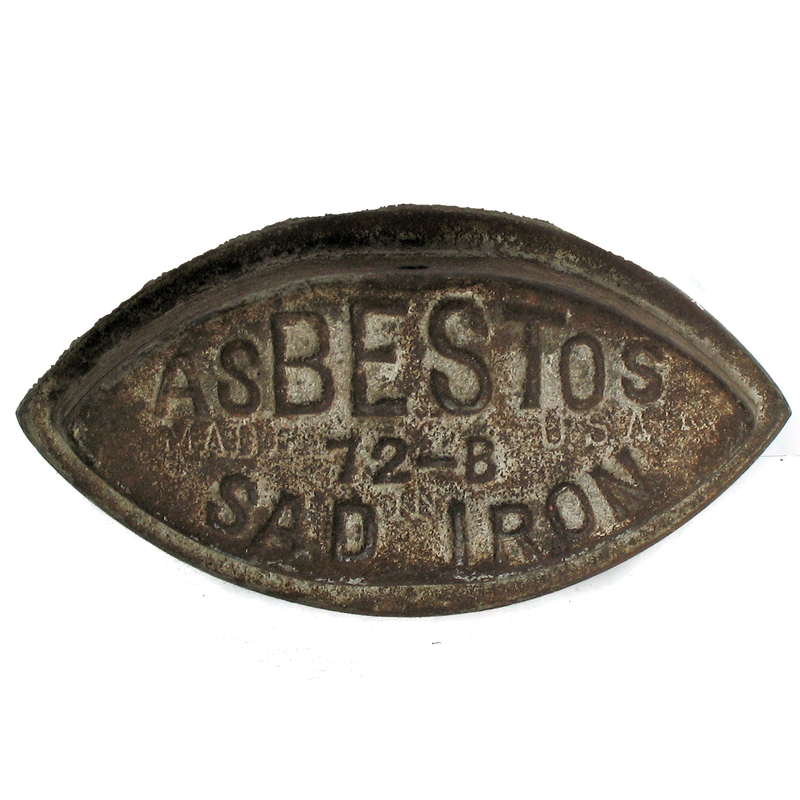 Little awesome things or other choking hazards. For adults and kids, if they may dare! $1.00 and up. Get 5 assorted capsules with chopped barbie doll parts for a buck. I traded a pink furby to a cranky sculpture student for them — and uh raaaaaad! Now yaa’ll can benefit from the pickin’s! THANX! 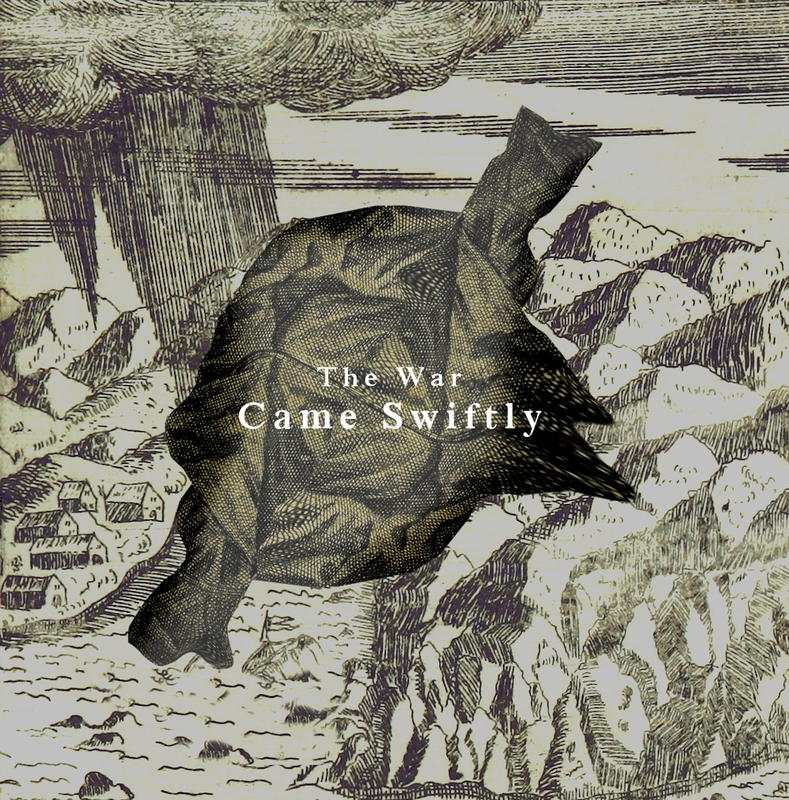 – The Sweetie Pie Press Artist Collections. – Official Ocotopus Zombie swag. – Handmade strawberry stickers by Cate Anevski. – Vintage by Wounded Bird. – Thorough Bred of Sin Singles. Pricing between .50 to $5.00 — Get um now at Cranky! Cranky Dan just brought in a little box of mixed Dinosaur finger puppets. Let us see: Roughly one of each type of ‘saur, oh expect two of the flying one. Which is good because it’s the best and evolutionarily superior: Two of you deserve it. A dollar each. Now. Now in case you’re feeling the need to be a collector,: we just put out these adorable vintage Japanese wind-ups! Pictured here is a small sample… but there is about 20 freshly released and glorious wind-er’s in our shop/maze; find em. $1.00 to $3.00 depending on awesomness. If you crave handmade local junk with an emphasis of what local small-scale manufacturing “can be” then Peek these new crankles! – Little handmade pixel japan-a-la keychains by an STL mystery pal! From only $1.00 to $2.00 dollars! – Random collage-a-podge domino magnets in various sizes and subjects by local Imp-Fur-Ections! 2 to 3 to 4 bucks depending on package. Leave us a comment! To hear from you is to bleed yellow! We are having a Spring fundraiser to gather crowd-sourced funds to invest into the Cranky Yellow. Together we hope to use the money raised to find a better long-term sustainability plan for our retail shop, gallery, and performance space. APRIL 2nd: ALL DAY AND NIGHT! 12pm to 12am SHARP! Shop-A-Thon, Meet and Greet the Crankies, and DANCE PARTY!! $10.00 to enter. Bring cash/credit to spend! We’ll take it! – Cranky Cupcake Sale! Vegan available! Lyndsey Scott has given up traditional teaching for a learning/traveling self-educational course to interact in a collaborative way with neighborhood peeps and cross-disciplinary journey-ists like herself. We’re showing her infamous and endlessly collaborative God Molecule piece in the window this month (installing now). If you want to draw on it or add some of your personal flare, just stop in! Peter Seligman is selling/showing some work in our shop that is without manifesto or agenda. Only trying to offer affordable art to the masses with a pinch of pop-experimental tracks for enjoyment. It’s nice, crisp and easy to consume!! Smuddos is one part old-school prolific shell construction and one part DIY electrical engineering. The shrines, mirrors and accessible night-lighting are are both endlessly conversational and whimsical! We’re showing a small collection of variously priced lights and buckets! Long time friend of Cranky Yellow, Jeremy Rabus, recently updated his website to showcase an ever growing portfolio of soft acid-dream landscapes. The billowing clouds and floating bacteria like modules make us want to play Mario on SNES… Or maybe we’re sick. Check out his website for more! Finally, if you’re still craving quality abstract work in STL, consider supporting the lovely Hoffmann Lachance Contemporary Gallery! They are always pushing great new work into the public’s face and totally worth supporting! The two photos above are from 2010 shows they’ve hosted Jon Cournoyer and Christoopher Burch. 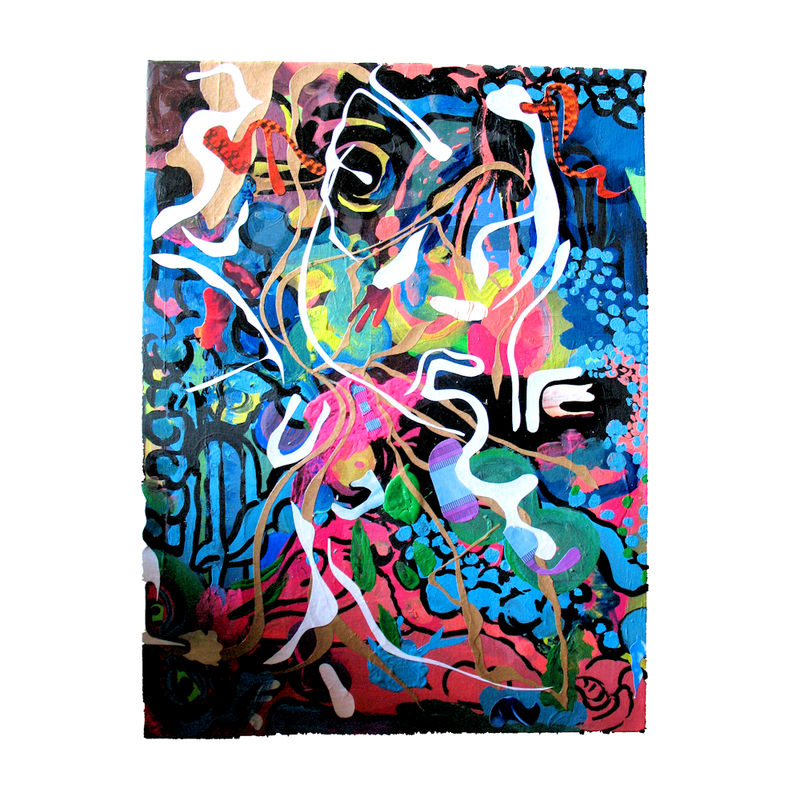 GO GO 2011 and future of Abstract!! !